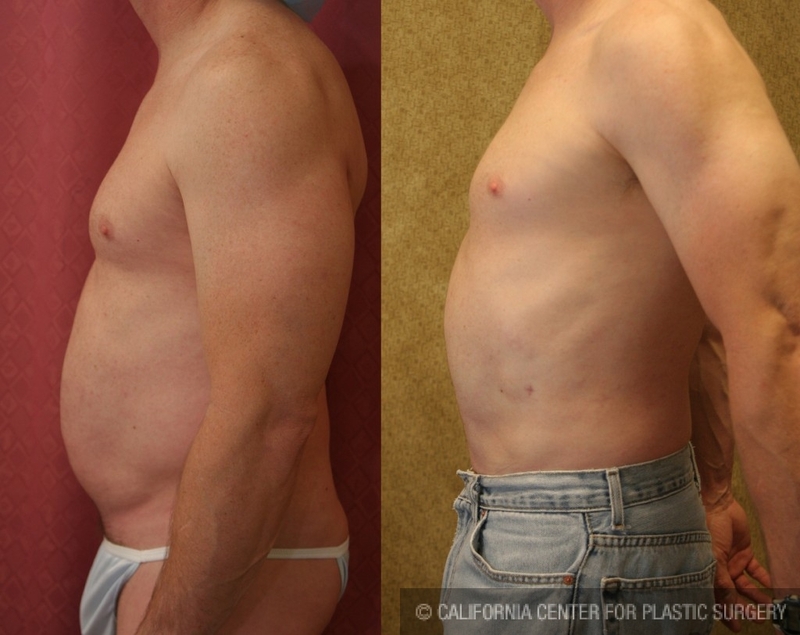 For men the number one reason to get abdominal liposuction is to get rid of their love handles. 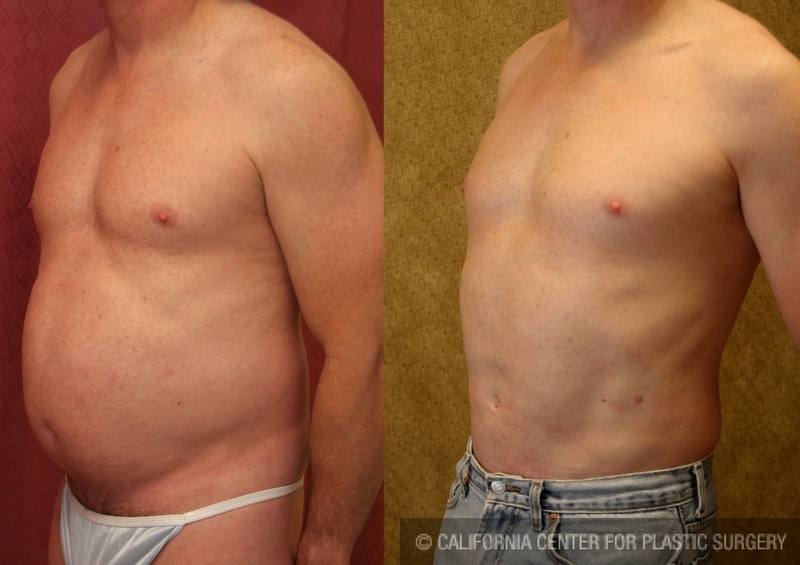 These liposuction before and after pictures of this 49 years old Caucasian man from West Hollywood demonstrate how liposuction can remove love handles and flatten the abdomen. Patient says that after liposuction he lost 4 inches in his pants size. The liposuction technique that Dr. Sean Younai utilized for his was tumescent liposuction under general anesthesia which is probably the most comfortable type of liposuction. Patient was able to go home the same day and to be on his own in 4 days. He says that overall his liposuction recovery was fairly easy with the exception of having abdominal soreness during the first week. He was prescribed narcotic pain medications, antibiotics, and nausea medication for after surgery. Patient had stopped taking any pain medications and had returned to his routine activities by two weeks after liposuction. He says that the shrinkage of his abdominal skin with liposuction makes his abdomen firmer and flatter which is something that he never had.